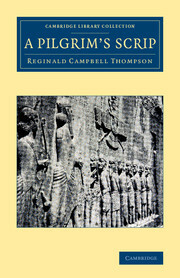 Reginald Campbell Thompson (1876–1941), grandson of the mathematician Augustus De Morgan, studied oriental languages at Cambridge, and in 1899 began his career in the British Museum's department of Egyptian and Assyrian antiquities. 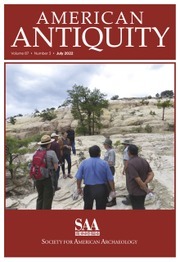 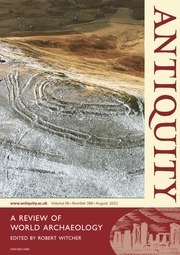 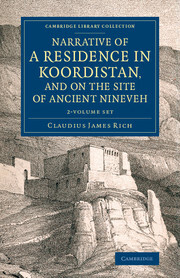 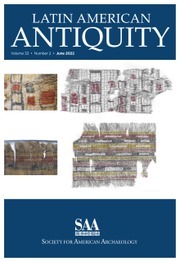 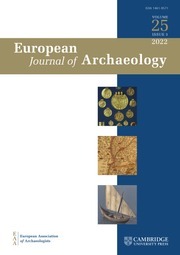 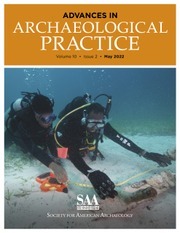 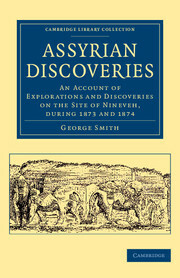 He participated in excavations at Nineveh and Carchemish with colleagues including Leonard William King and David George Hogarth (whose works are also reissued in this series). 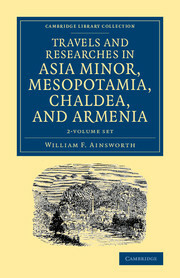 Thompson's later publications included a verse translation of The Epic of Gilgamish, and studies of ancient science. 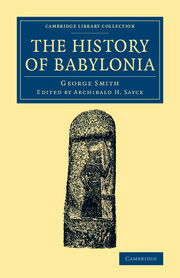 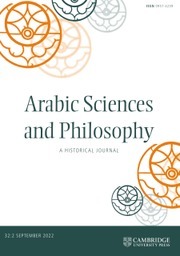 Published in 1903–4, this two-volume work made a substantial contribution to modern knowledge of ancient Babylonian demonology and magical practices. 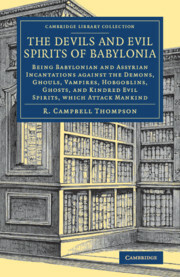 It contains translations of tablets from the seventh-century BCE Library of Ashurbanipal: exorcism formulae, purification rituals and spells to protect against evil spirits and diseases, and descriptions of supernatural beings. 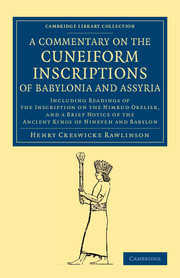 The work includes transliterations and explanatory notes, and was designed to accompany earlier British Museum publications containing the original cuneiform texts.